The Men's Singles competition at the 2016 Belarus Open sees Korea Republic at the top of the seedings list, with Jang Woojin leading the way. Jang has never previously won an ITTF World Tour tournament in the Men’s Singles category. However, the 2013 World Junior champion has shown that he can mix it with the best: beating world number four Zhang Jike (China) on two occasions (Men’s Singles and Men’s Team events) at the 2015 Asian Championships and being picked as a reserve for Korea Republic’s Rio 2016 team. Despite having no Men’s Singles title to his name, Jang has enjoyed success on the World Tour prior to this week’s event winning in both the Under 21 and Men’s Doubles categories. Named as the number one seed at the Belarus Open, will Jang take the next step and finally obtain the currently elusive singles gold for his trophy cabinet? Alongside Jang Woojin, Korea will have another two seeded players at the event: Cho Eonrae and Lim Jonghoon. Cho was crowned Men’s Doubles champion at last week’s Czech Open when he partnered Park Jeongwoo to overcome Kim Minhyeok and Park Ganghyeon in the final. Cho fell, though, to England’s Andrew Baggaley in the opening round of the singles main draw. Lim didn’t fare much better in the Men’s Singles as he exited one round after Cho (lost 1-4 to Mattias Karlsson) but a semi-finals finish in the Men’s Doubles will help to restore confidence. Yaroslav Zhmudenko (Ukraine) is one of three Europeans to be seeded in the top five in Minsk, splitting Russian duo Grigory Vlasov and Kirill Skachkov in third place. The 2016 Polish Open saw Zhmudenko reach the last 32 of the Men’s Singles event, but this is the first time on the 2016 World Tour that the Ukrainian enters as a seed so expectations will be high in his camp. Vlasov will be competing in the main draw for only the second time this year as the 32-year-old looks to improve on his Round of 32 finish achieved at the Hungary Open earlier in 2016. Skachkov is seeded fourth for the Open so his rank sends him into the main draw and a strong chance of going far. Kirill Gerassimenko of Kazakstahn could be the underdog competitor to keep an eye on in Minsk, following his impressive results at the Czech Open. 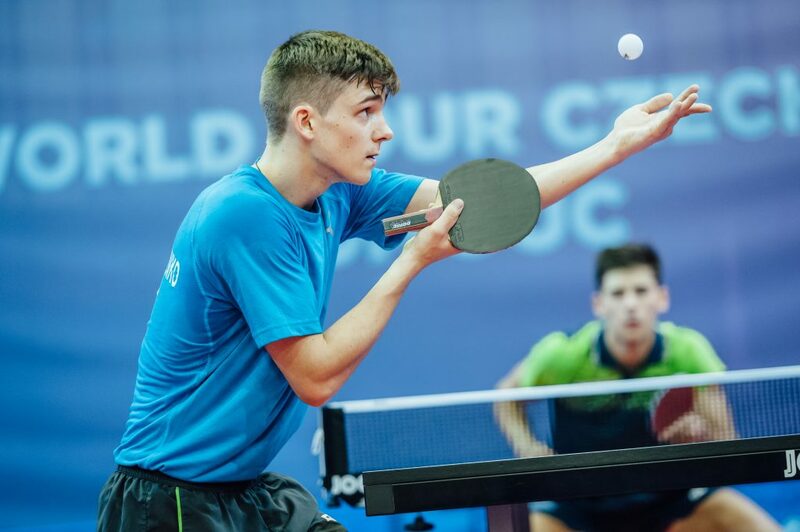 Aged 19, Gerassimenko is yet to win a Men’s Singles competition, but an appearance at the 2016 Olympic Games and victories over the likes of Joao Geraldo (Portugal) and Kenta Matsudaira (Japan) have helped Gerassimenko to establish himself as an exciting prospect for the future of the sport. The preliminary groups are first up for Gerassimenko, and should he successfully navigate the qualifiers then another five wins would prove enough for the top step of the podium; a difficult task but the young star has shown plenty of promise in his recent battles on the Tour.